The QDRO. A divorce settlement often determines how any anticipated future pension and/or retirement plan benefits will be divided. You may receive part of your ex-spouse’s retirement benefits, or your ex-spouse may receive part of yours. However, an employer may distribute retirement plan benefits to a former spouse only after receiving a court-issued document that meets the requirements for a Qualified Domestic Relations Order (QDRO). If you are to receive benefits from your ex-spouse’s plan, you must follow through on obtaining the QDRO and ensuring that the plan’s administrator receives it. Change of beneficiary. The individual you have named as the beneficiary of your retirement plan account will automatically receive all the funds in your account after your death. A divorce or other agreement generally has no effect on a beneficiary designation. Therefore, you must formally amend the appropriate plan documents to name someone other than your ex-spouse. As soon as your divorce becomes final, you should give your plan administrator a new beneficiary’s name. Also, be sure to change the beneficiary on any IRAs you may have. Adjusting retirement plans. Your financial future may look very different without your spouse. You may be able to improve your lifestyle after retirement by taking advantage of additional current contributions to your 401(k) or other retirement savings account. Social Security. Your ex-spouse’s work record may entitle you to receive a benefit once you are at least 62 years old and meet the law’s conditions. So, after a divorce, it is a good idea to call the Social Security Administration to inquire about any benefits you can expect to receive. Your new marital status may mean a shift in your investment goals and, therefore, in your investment strategy. Your present assets may be more or less risky than you will want in the future. You should also examine your new living costs to make sure your arrangements are realistic for your income and needs, and to decide how much and how often to invest for the future. After a divorce or separation, a general review of all your financial documents is advisable. In light of your new situation, be sure to examine the following. Estate plan. If your spouse is your heir, you need to revise your will to name another beneficiary(ies). Also, marital status is often a key factor in planning an estate. You should review your present plan with your professional advisor to update it for your new situation. Life insurance. The change in your marital status most likely will require a reevaluation of your life insurance policies and, at the least, a change in your beneficiary designations. Credit records. It is important to separate your credit history from your spouse’s history so that future reports will be based only on your own credit use. That will involve notifying credit bureaus of your divorce and removing your spouse’s name from any joint credit accounts. 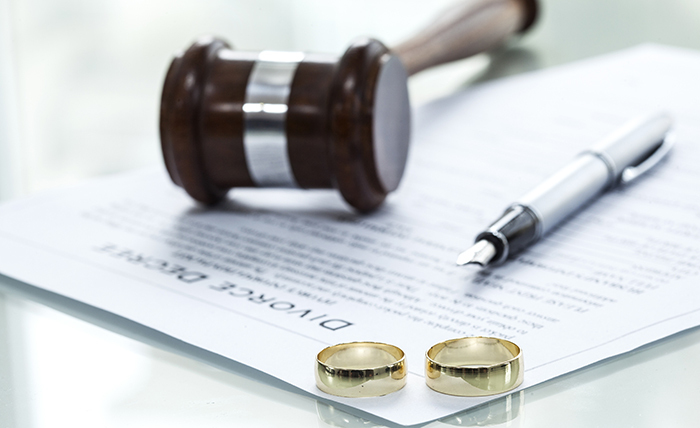 A divorce or separation may give rise to numerous tax issues, and a settlement agreement that reduces taxes may benefit both sides. Professional legal and tax advice is essential as your agreement is being negotiated.